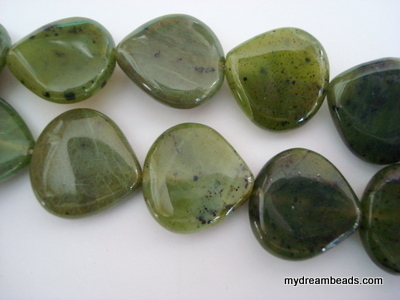 Nephrite Jade – 15x15mm Peardrop. 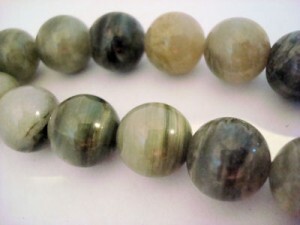 See our selection of green line quartz. 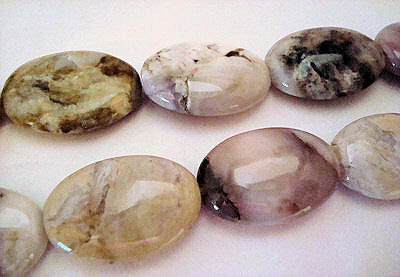 Just in is our African Opal . This stone is a beautiful polished white stone with striations of brown, tan and other desert colors. We have three different styles: flat diamond, flat rectangle and flat oval. Each shape has at least two different sizes.